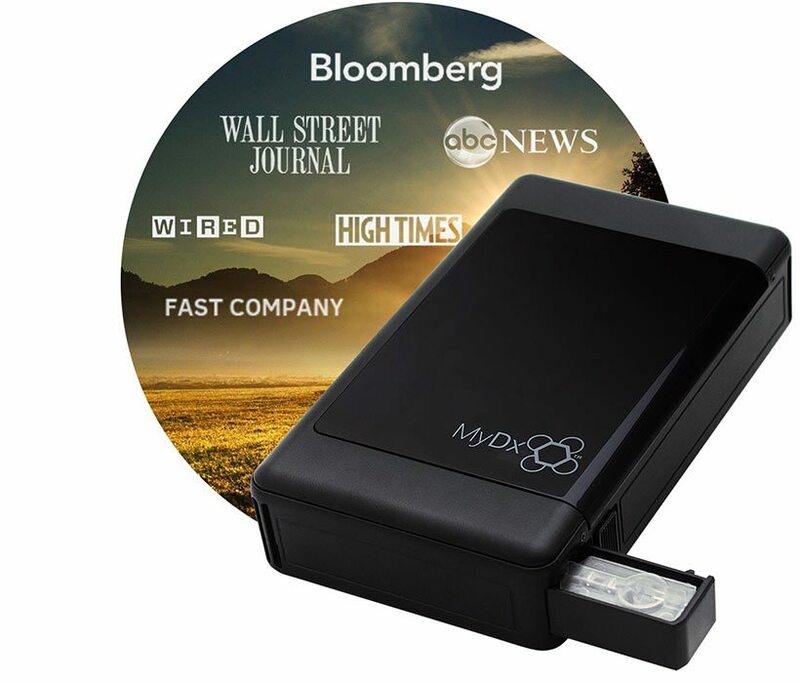 The OrganaDx portable hand held analyzer will help you Trust & Verify™ the safety of your cannabis plants, fruits and vegetables. 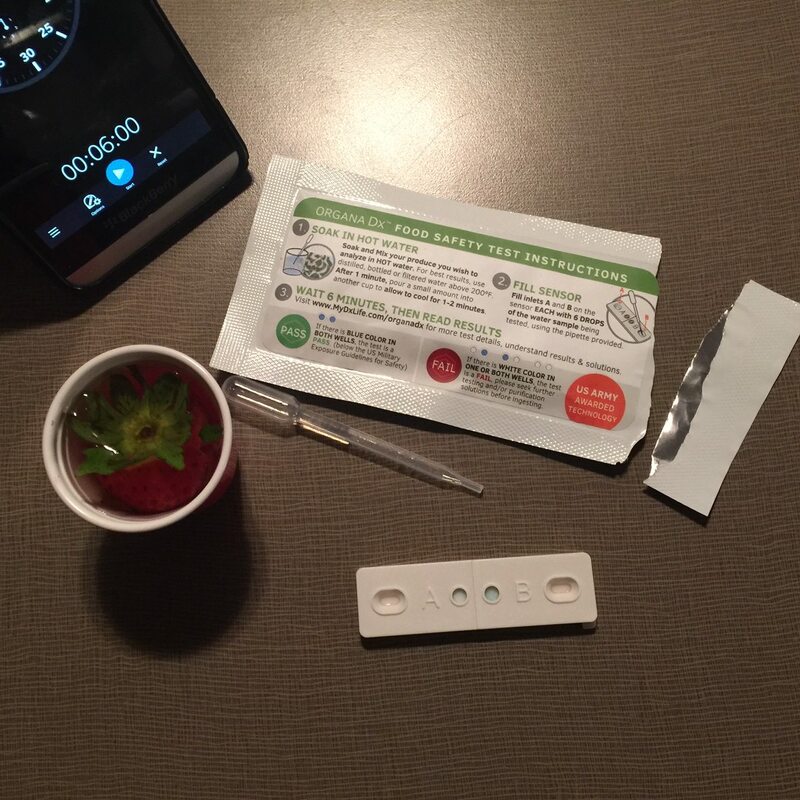 It is the most practical food quality tester that will allow you to detect pesticides in food, ensuring that you and your family do not unknowingly consume potentially dangerous cancer-causing pesticides at unsafe levels. It also allows you to test your food quality for heavy metals to see whether it is safe for consumption. Our Single Use Sensors represent an early release of this product that does not require a digital analyzer and are more affordable ($24.95 for 2 Single Use Sensors) for consumers so they can start testing today. Food testing is particularly important when buying non-organic produce that is known to be notoriously high in pesticides, commonly referred to as the “Dirty Dozen”. The Dirty Dozen fruits and vegetables contain unsafe levels of pesticides and unless sent in for analysis to expensive food testing labs and waiting for results, you leave yourself open to contaminated food or forced to buy more expensive organic products. 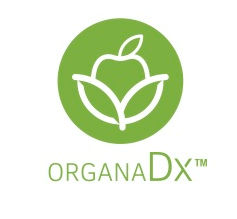 OrganaDx™ acts as a preliminary tester before going to food testing labs, where you will be detect harmful chemicals in food within minutes to give you peace of mind to purchase and consume with confidence. 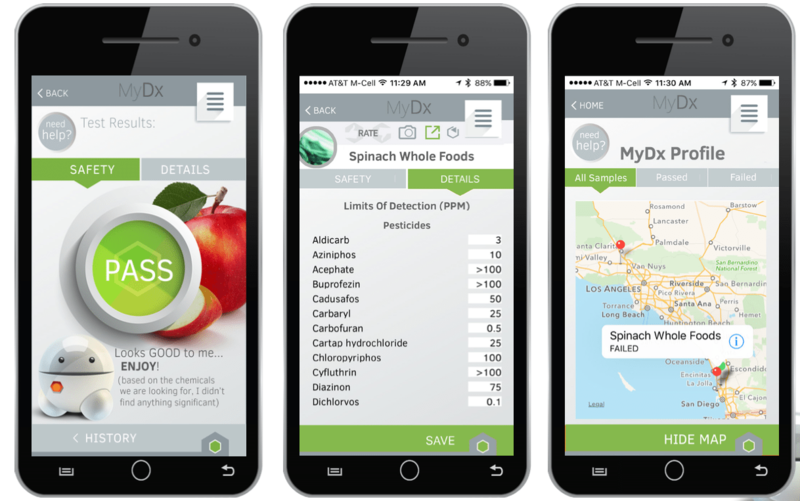 OrganaDx™ offers one of the most practical food quality testing options for consumers today. The produce shown below have the highest levels of toxic organophosphate pesticides. Even if you rigorously wash your produce, there is still a high likelihood that pesticides will have lingered on the surface or may have already seeped into that particular fruit or vegetable. Pesticides have been shown to cause a myriad of adverse effects in humans including increasing the risk of cancer, impeding neurological development and function, adversely affecting developing fetuses, decreasing fertility, and more. It is therefore advisable to purchase organically grown produce and when possible to test for these pesticides. The OrganaDx™ sensor will allow you to do just that, keeping you and your family safe and healthy. Organophosphate Pesticides (such as Malathion, Diazinon) have been linked to Cancer by the World Health Organization (See MonographVolume112 published in March of 2015).